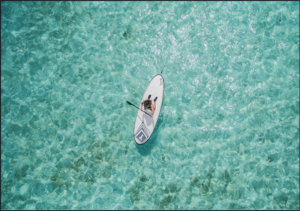 Dive into Fiji and head out on a paddle board……. If only …….From Fiji to Thailand, from Sydney to Los Angeles, travel motivates any team. If you are a planner or head up a sales team take the time to save you time and reach out for help in planning your next team incentive or event. Ideas on off-site venues, fabulous locations for dinners or innovative Corporate Social Responslbity programs. Hotels to campsites the venues that are used today are not just your traditional meeting space. This year we will bring you ideas on how to motivate your team and increase your sales and save your precious time. Remove obstacles from your sales team and/or get them out of the office and far far away. The team at Clockwise Consulting provide sales representation to clients from Australia and internationally. 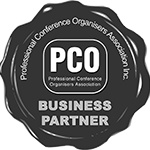 We recognise that Australian PCO’s In-house Meeting Planners, Incentive specialists and event managers are looking for more assistance as timelines are getting tighter. Our newsletter will support our roadshows, events, blog posts, website and social media sites to give you inspiration to find out more about our destinations. So if you have a colleagues with interest in this area please let us know by sending a quick email detailing any special level of interest. Last year Clockwise ran a number of surveys and we found out the biggest challenge for meeting planners is budget, time and expectations. If you are interested in the other findings or would like to conduct face to face, over the phone surveys with your clientele, or potential targets get in touch. With a matter of fact philosophy once we have your brief we will DO THE LEG WORK FOR YOU and then will only recommend what will work. We also advise you on the support you will receive from the destination. Whether it is assistance in arranging the site inspection or for the actual event. Call us today to find out more, arrange an in-office appointment or to be invited to our knowledge events, familiarisations and road shows. Subscribe to our newsletter here and head off to a fabulous destination with your team, as you help them win within your business.